Opening hours: Business hours vary, but most stores operate from around 8.30-9am to 4.30-5pm Monday through Friday, with a shortened day on Saturday. White sand beaches and crystal-clear waters are an excellent attraction in and of themselves, but there are plenty of excursions available to those who wish to explore the surrounding areas. 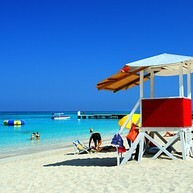 The divine white-sand beach was once believed to be washed over by waters with strong curative properties. Today, over a century later, the possible medicinal effect has been eclipsed by its popularity with leisure vacationers, either idling in the sun or engaging in water sports (equipment available for hire). The Montego Bay Marine Park emerged as part of the effort to protect and preserve the fragile flora and fauna of the area, damaged by human activity and pollution. 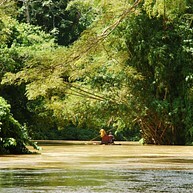 Guides can be hired a few days in advance, to accompany visitors on activities like snorkelling and canoeing. 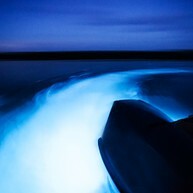 The Luminous Lagoon, just a short drive east of Montego Bay, is one of the few places in the world where the so-called "glistening waters" can be observed. At night, the waters of the lagoon light up with shining cerulean lights, forged by movement of rare microorganisms inhabiting its floor. Guided tours with a stop for bathing depart from the Glistening Waters Marina. Some 30 kilometres east of Montego Bay is the Martha Brae Rafting Village, where one can embark on an unmissable journey along the lush banks of Martha Brae on board a bamboo raft steered by an experienced local captain. Tours may include stops for bathing, picking up refreshments from floating bars, and a visit to the Herb Garden. Now here's a an experience hard to come by elsewhere: the Rastafari Indigenous Village, just outside city limits, is a neat introduction to Jamaica's indigenous religious movement that has gained followers worldwide since its emergence in the 1930s. A guided tour is good way to learn more about Rastafarianism and its central tenants, as well as witness the daily and cultural life of its Jamaican adepts. Colonial Rose Hall offers a glimpse of what life was like for the white elites of Jamaica, and one of its arguably most notorious representatives: fabled, semi-fictionalized Annee Palmer, also known as the "White Witch" for her disturbing and devious deeds. Take the day tour of the house and surrounding gardens, or the spooky evening tour.